The information prepared in accordance with the national accounts and public finance statistics criteria plays a decisive role in evaluating and comparing the financial sustainability of governments in the European Union (EU). As national accounts are prepared on the basis of information generated by governmental reporting systems, the elaboration of the information requires adjustments due to the lack of comparability of accounting systems. The chapter contains an analysis of the main differences between the two systems and the adjustments required, as well as their importance for EU countries. It includes a study of the level of correlation between the size of the adjustments and the accounting maturity of the countries, evidencing that the adjustments are not smaller in countries with higher accounting maturity. Montesinos, V., Dasí, R. M., & Brusca, I. (2019). 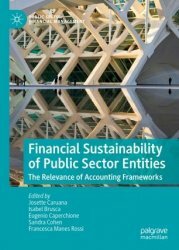 A Framework for Comparing Financial Sustainability in EU Countries: National Accounts, Governmental Accounting and the Challenge of Harmonization. In Financial Sustainability of Public Sector Entities (pp. 41-61). Palgrave Macmillan, Cham.